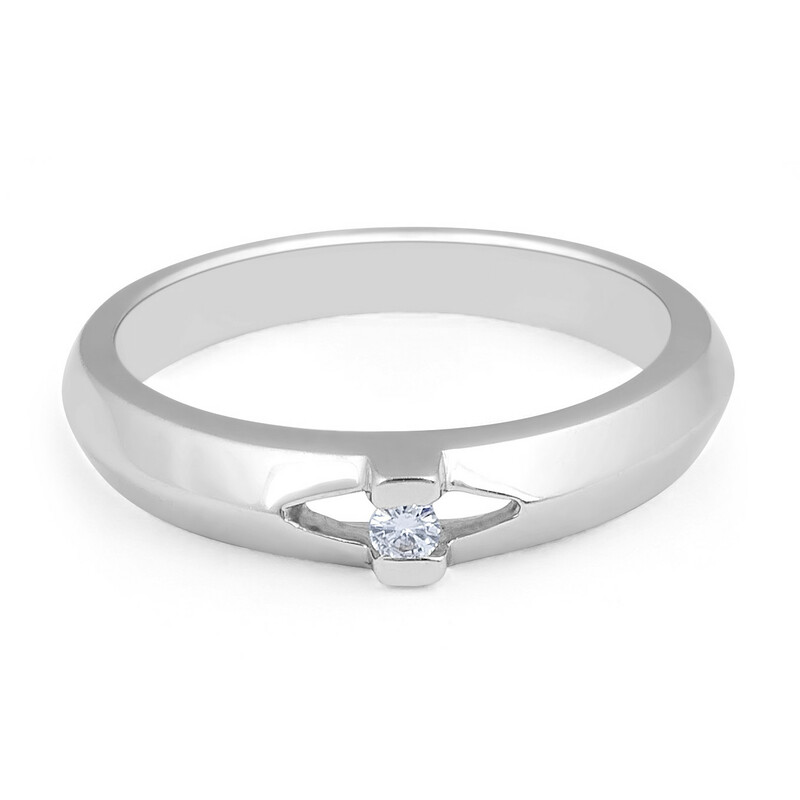 Modern classic design 18 Karat white gold diamond wedding band set with a single solitaire sparkling round brilliant diamond set in a tension setting. The medium width, knife edge wedding band gives the ring an elegant feminine touch. 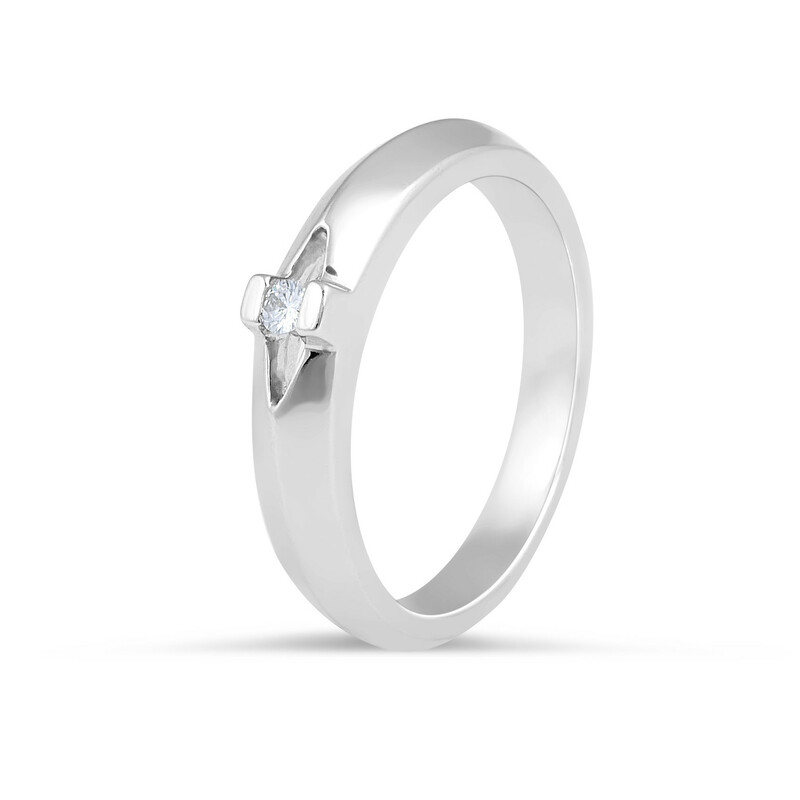 18 Karat Solitaire Tension set, knife edge, Ladies Diamond Wedding Band 1 Round Diamond:0.03 Carat Gold Weight: 3.5 g Band Width: 2.9 mm.